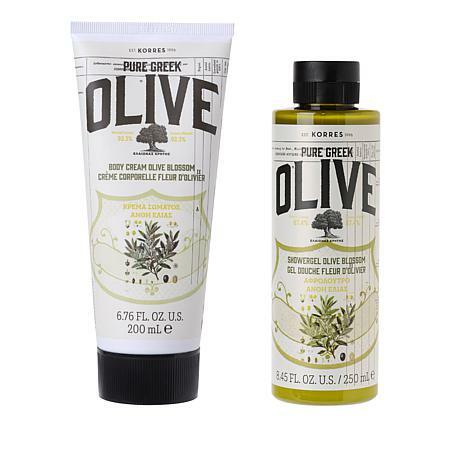 High-quality olive oil extracted from the silver-green olive groves of Crete is incorporated into these Korres Olive Oil and Blossom cosmetic formulations. The body cream nourishes skin with moisture, rejuvenating and softening it, while the shower gel gently cleanses. All Korres products are wonderful. However, this one is exceptionally great. It is not greasy, lasts for a long time and hydrates your skin, in addition it feels great on your skin. I do not want ever be without this great product. Thank you HSN. Big Korres fan and would say that the lime is the best scent in the olive line. Great for summer. Moisturizing and lightly fragrant body wash; leaves my skin feeling soft, clean and great to smell. I enjoy following up with the lotion that continues leaving my skin feeling smooth, moist and touchable, despite the hard water where I live. The fragrance lingers without being heavy. This will be gift for my granddaughter. It received good reviews so thought I would give it a try. 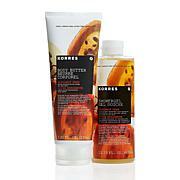 Have used Korres for a long time and love everything about it.